Device Integration - Xyntek Inc.
Xyntek’s experience with implementing lab automation and associated data handling technologies allows us to provide fully integrated hardware & software solutions address the underlying needs of the clinical laboratory allowing for seamless interfacing with EHR and other Healthcare Information Systems (HIS) within an enterprise. The data management and software systems used by care providers, medical personnel, and office staff are the backbone of the HIS infrastructure. The databases upon which these systems sit contain vast amounts of raw and processed data and associated metadata, and the automated collection and population of the data points from bedside/point-of-care to the clinical lab into these tools is a critical piece of achieving total automation. As a whole, our automation solutions aim to streamline workflows and processes while mitigating risk. Directly integrating devices and instruments with data management systems has one of the highest ROI of any solution, as it removes the element of human-error and tremendously increases the time-value associated with manual data entry or manipulation between islands of automation. Only with these variables and risks eliminated can the HIS truly realize its purpose and value of providing accurate data to the appropriate endpoint as quickly as possible. Sample Analyzers and High-Throughput screening - plate-readers, spectrometers, etc. 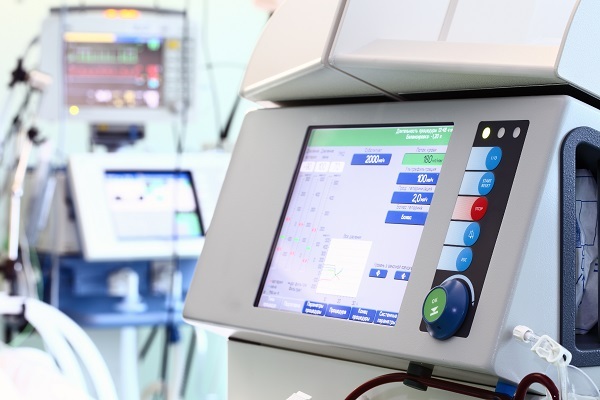 Point-of-Care (POC) testing devices are often used in most of the healthcare facilities to enable testing and results capture at the patient bedside. This device has proven to provide timely information to aid clinical decision making especially in the emergency department. Xyntek is skilled in integrating this device either with the LIS, Hospital Information System (HIS) to feed data from POC. Xyntek is also conversant with the standards compiled by the Clinical and Laboratory Standards Institute which are critical to establish connectivity between POC and the LIS or HIS. Xyntek is proficient in integrating Laboratory Information Systems (LIS) with other systems in clinical laboratories which include but are not limited to telepathology, digital pathology, EHR/EMR, PDAs, and HIS. Our delivered services and solutions have repeatedly demonstrated our ability to integrate devices and instruments to perform their essential and necessary functions both as individual pieces and within the fully integrated automated system.